Ditch the clutter and adapt Lagom into your interiors. This Swedish lifestyle trend of less-is-more is up in search +905%. And while there’s no specific way it has to be done, we’re looking at comfy, everyday lifestyle pieces like chunky knit blankets to help you on your way to Lagom. Get this chunky knit blanket on Etsy. Home is where the zen is. And these days, people are looking for new places in their homes to escape and pieces to help them reflect. This salt lamp from Urban Outfitters is an easy purchase to help you on your way to mindfulness. According to Pinterest, “people are finding new ways to make room for their hobbies, projects and life passions by turning those unused dining room and awkward nooks into truly useful workspaces.” Get this wall-mounted pull-out desk with storage at Hayneedle. The search for geometric tables is up +526% on Pinterest. These bold pieces of furniture will jazz up any boring living space. Get this one at Joss & Main. Go for gold this year. Although gold accents have been a home trend for quite some time, we’re seeing them creep up again in search. From faucets to frames, gold accents are a great way to add some metals into the mix. Get this gold arch wall mirror at Wayfair. 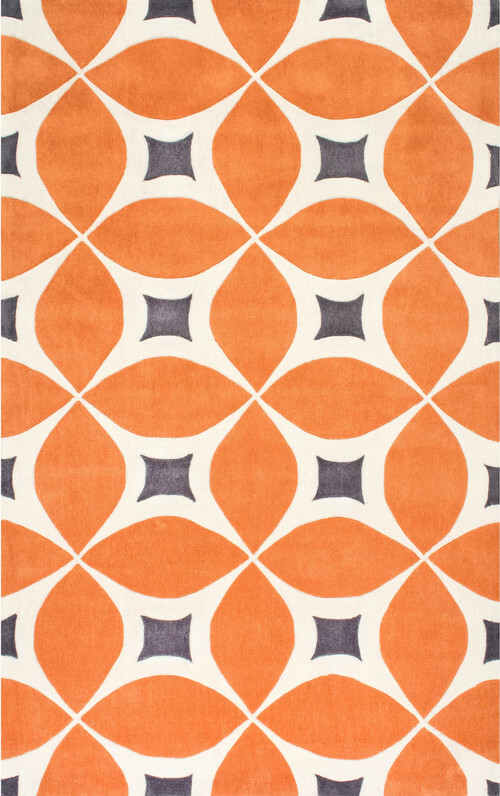 Statement rugs are an easy way to add some boldness to a room. Go with something bold enough to stand on its own, or layer one on top of the other for a more lux look under heel. Get this hand-tufted trellis rug from Houzz. We’re constantly switching up our home’s aesthetic to suit our changing needs. That’s why removable wallpaper is the perfect solution to home upgrades that will make a difference without breaking the bank. Get this tropical wallpaper at Urban Outfitters.